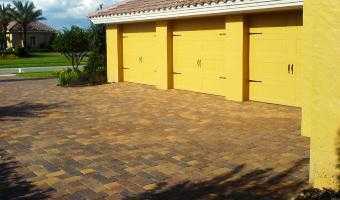 Paver Sealing Florida is a full service brick paver cleaning and sealing company serving the entire central Florida area. With over 1 million square feet of pavers sealed throughout central Florida, we have the experience to get your paver sealing job done right the first time. We use Seal n Lock products and carry the Seal n Lock Sealing Pro Certification and our employees also have ICPI Brick Paver Installer Certification to assure you're getting the absolute best service possible. In fact, we were able to use the Seal n Lock products before anyone, and helped them redefine the entire paver sealing industry using this new system. This method of cleaning and sealing brick pavers and the Seal 'n Lock products themselves have set the standard of quility in the brick paver industry. As a result, many paver sealing companies throughout the USA have adopted these methods for their paver sealing products. and more. Most paver sealing projects are completed on one day, and ready for action within 24 hours. Our sales team is available 7 days a week for an in-home consultation about your brick paver project. A Paver Sealing Florida technician will be measuring the size of the job, and evaluating the overall condition of the pavers, drainage, problem areas, and making recommendations for necessary repairs. You will receive a written estimate with a detailed analysis of your project, and a plan for completing your sealing project that fits your schedule. *If you have had a previous seal job by others that has turned milky/white and need it repaired, please feel free to call us for an estimate on paver stripping and restoration services. We are proud to serve the entire Central Florida area, including Tampa, Saint Petersburg, Lakeland, New Tampa, Waterchase, Westhampton, Avila, Waterside, Champions Club, and Wesley Chapel. When it comes to commercial brick paver sealing projects, we cover the entire state of Florida.